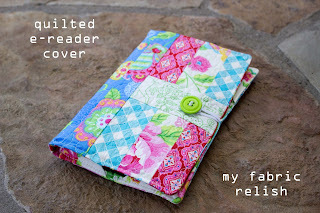 A couple months ago I posted about my quilted e-reader cover and wanted to share my newest one. I wore the other one out and was also ready for a new look. Instead of cotton interfacing this time, I used pellon 71 (stiff fusible interfacing). I quilted the top just as if it was cotton batting. I really had no issues with tension or anything...so yay! I also added a phone pocket inside because I realized I not only carry my e-reader everywhere, I carry my phone. So now it has a safe little home when needed. 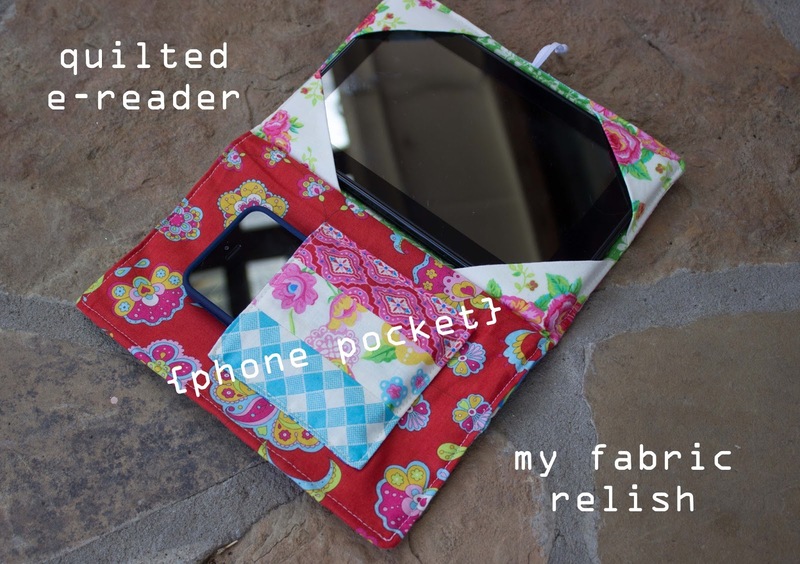 Fabrics are scraps (or "uh-ohs") from my Virtual Quilting Bee, Gypsy Girl.